Trump goes to Paris to mark the end of WWI. What can we expect? President Donald Trump flies to Paris this weekend to mark the 100th anniversary of the end of World War I on Nov. 11. Trump will join 60 other heads of state for the weekend’s ceremonies, which will be dedicated to veterans of all wars. Here’s what we know about his trip. What will Trump do while in Paris? 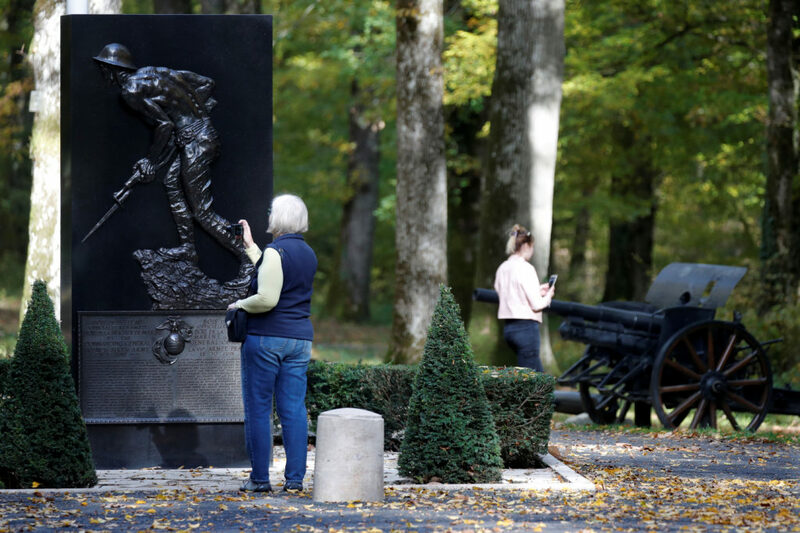 Trump plans to visit two sites that commemorate the U.S. involvement in World War I: the Belleau Wood battlefield, along with the adjacent American cemetery, and the Suresnes American Cemetery. Both are outside of Paris. The “war to end all wars” lasted more than four years, from 1914 to 1918, with military and civilian deaths on all sides totaling 20 million. The Armistice that ended the fighting between the Allies and their opponent Germany was signed in Paris on Nov. 11, 1918, on the “eleventh hour, on the eleventh day of the eleventh month.” Among Allied forces, Russia lost more than 1.7 million members of the military, and 908,000 British forces died. The U.S. lost more than 116,000 military personnel during the war, and France suffered more than 1.35 million military deaths. 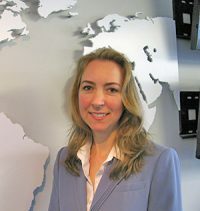 Heather Conley, senior vice president for Europe, Eurasia and the Arctic at the Center for Strategic and International Studies, said the visit is an opportunity for the president to steep himself in the history of World War I and remember “how vital American leadership was” in the allies’ objectives. Will Trump meet with any world leaders? Trump has a meeting scheduled Saturday with French President Emmanuel, and will attend a dinner for visiting heads of state that evening. On Sunday, the world leaders will gather again for lunch at Macron’s residence, the Élysée Palace, before heading home. Senior administration officials said Trump would not have any pull-aside meetings during the weekend, but analysts said the president, who is known for his impromptu style, might decide to have some sideline chats anyway. “Trump doesn’t like to be told what to do, and who he can and cannot talk to,” said Alina Polyakova, a foreign policy fellow at the Brookings Institution. At a summit dinner in 2017, for example, Trump left his assigned seat at the table to speak with Russian President Vladimir Putin without a U.S. interpreter — a move that concerned some national security experts. “We’ll see if he pulls something like that again,” Polyakova said. Trump said Friday that he plans to meet with Putin at the G20 in Argentina later this month. Putin also has been invited to visit the White House next year. What could come up at a Trump-Putin meeting in France? If Trump and Putin do meet during the WWI commemoration, the Intermediate-Range Nuclear Forces Treaty, or INF treaty, might surface. Trump suggested last month that the U.S. would terminate the Cold War-era nuclear agreement because of Russia’s alleged violations. The treaty required the countries to destroy their stockpiles of ground-launched ballistic and cruise missiles with ranges between 310 and 3,400 miles. 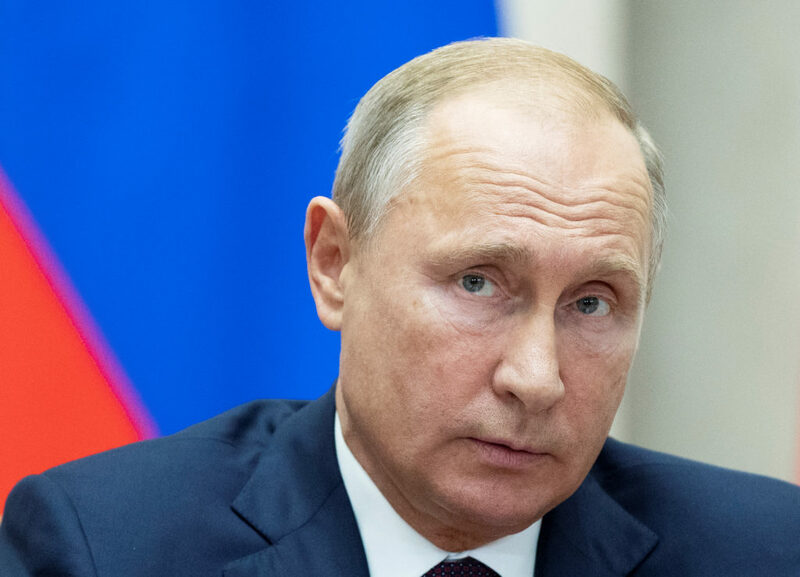 The U.S. has accused Russia of testing the banned cruise missiles again. Even if no meeting takes place, people will be watching the body language of the two leaders, Conley said, particularly because of Special Counsel Robert Mueller’s investigation into possible collusion between the Trump campaign and Russia. What might the other European leaders discuss? The European leaders will have questions about Trump’s foreign policy and trade agenda, especially regarding the U.S. decision to re-impose sanctions on Iran and levy steel and aluminum tariffs on European countries, Conley said. Conley also said she would not be surprised if there are pull-aside conversations between Trump and Prime Minister Theresa May about Britain’s exit from the European Union next year, and with German Chancellor Angela Merkel about her decision to give up her party leadership. “It’s just too irresistible an opportunity while they’re waiting for the ceremonies to begin to not have those types of conversations,” she said. 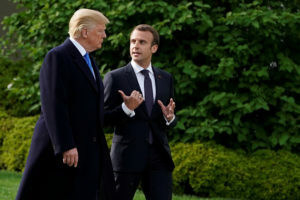 How does Trump’s visit reflect on Macron? Macron has demonstrated that he can effectively use the power of the French state and its hospitality to his advantage, except when it comes to Trump. Trump appeared enamored when he made his first visit to the country as president last year and attended the Bastille Day celebrations, which were complete with an ornate military parade. “The problem is President Macron, despite these very high-level gatherings and visits, has not been able to produce anything meaningful for France’s agenda,” Conley said. Macron was not able to convince Trump to remain in either the Iran nuclear agreement or Paris climate pact. “I think you’re seeing now a lot of the limits of what a good personal relationship with President Trump can actually deliver,” Polyakova said.